You must make reservations at least 5 minutes in advance of the time at Carmine's - 91st Street - NYC. Champion Parking - 114 West 92nd St. (Between Columbus & Amsterdam Avenue) $18 for up to four hours with Carmine's validation. SUV's are an extra 10$. Host your party where the Carmine's tradition began. The Little Room is the perfect setting for intimate gatherings, business meetings, rehearsal dinners or other social get-togethers. Our Executive Chef has created four course menus that are served at one long table. The Little Room seats up to 40 guests. Our main dining room boasts a massive mahogany bar, vaulted ceilings, and cathedral chandeliers. This former ballroom is quintessential New York and is ideal for private parties and special events. This pioneer of the Upper West Side can host a seated dinner, served family style, for up to 300 guests. Celebrate Bar and Bat Mitzvahs, weddings, corporate dinners, or fundraisers. We've designed special menus for cocktail and buffet receptions for up to 350. 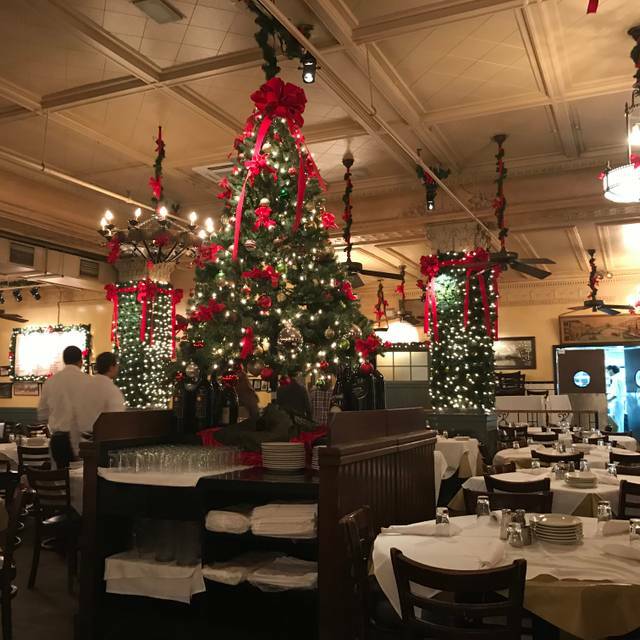 Celebrate special occasions in the fun, festive atmosphere that is Carmine’s. Contact our Special Events Department at 212-721-5587. Menus start at $42 pp. Let Carmine's Cater your next party. We offer full service catering for all types of events. Let us drop off and setup or let us stay and serve your guests with the Carmine's experience at your door. Contact our Catering Department at 212-362-6444. Host your party where the Carmine's tradition began. The Little Room is the perfect setting for intimate gatherings, business meetings, rehearsal dinners or other social get-togethers. Our Executive Chef has created four course menus that are served at one long table. 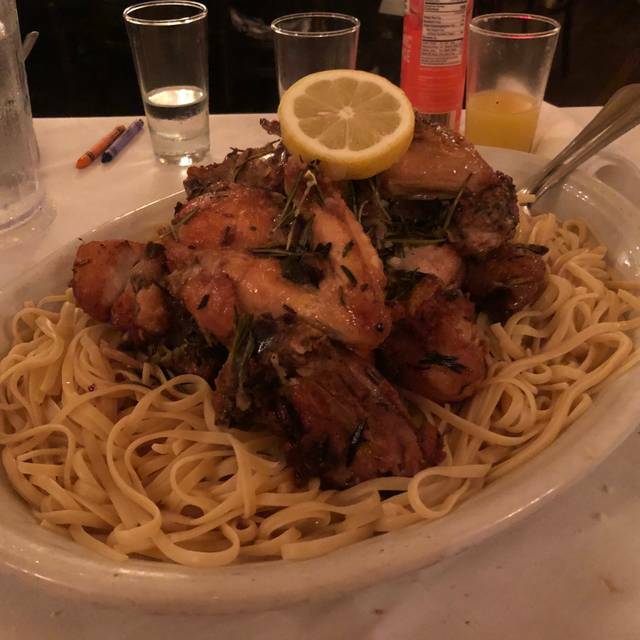 Carmine's simple and very popular concept is to serve every meal in the style of an Italian American wedding feast - which means large portions of home-style antipasti, pastas, seafood and meat entrees served on large platters designed for sharing. An entree here could easily feed three to four average eaters. Located in a sprawling, former grand ballroom on the Upper West Side of Manhattan, this is the original Carmines. Designed by Peter Niemitz, the interiors evoke the images of the quintessential New York restaurant. With elements and details from the 1920s to the 1940s, the restaurant has the look and feel of a place that has been around for much longer than it's 1990 opening. If you are in the market for freshly prepared family style Italian food that is served in huge portions at reasonable prices, this is the place for you. One of the tiniest family style Italian restaurants you’ll ever visit. The food was plentiful and very tasty. The food/ drinks and service were excellent. The Hostess and waiters were very accommodating. Food and restaurant was perfect. Went with my family and had a great time. Wonderful night celebrating my daughter’s birthday with her friends! Charlie, our waiter, kept us laughing throughout the evening. I always love eating at Carmine’s when I am in town. Highly recommend! Usually got to the Time Square location and it is a great experience, but the 91st street location needs some more attentive servers. As usual the food was great, but the service was poor at best, the server was distracted and had to be asked multiple times for simple things like oil and vinegar, drink refills etc. You can never go wrong with Carmine's. My mother and I enjoy the 91st and Broadway location. We didn't wait too long to be seated for our reservation. Our server/waitstaff were knowledgeable, engaging and attentive. The food was delicious and really just takes us to every experience before where we agree why we missed this place. The delicious food! 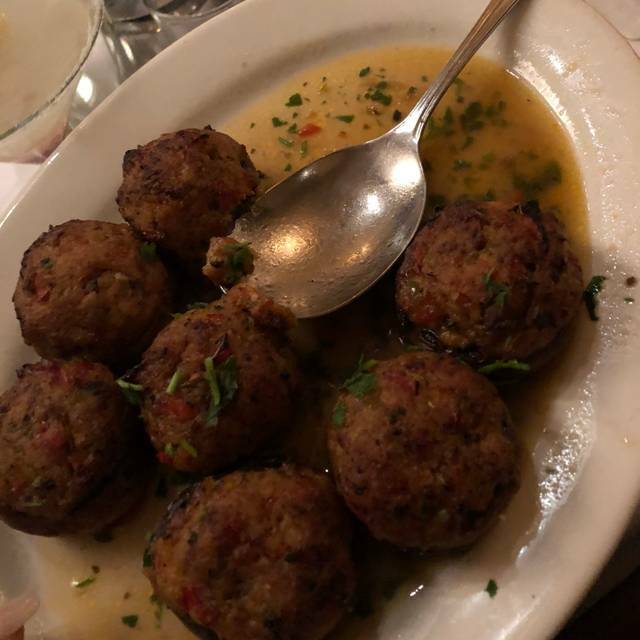 Stuffed mushrooms, the bread, the cocktails (Carmine's colada was on point! ), the shrimp parmigiana and shrimp in red sauce entrees with linguine was delectable. The good experience ST Carmine's is what we live for. 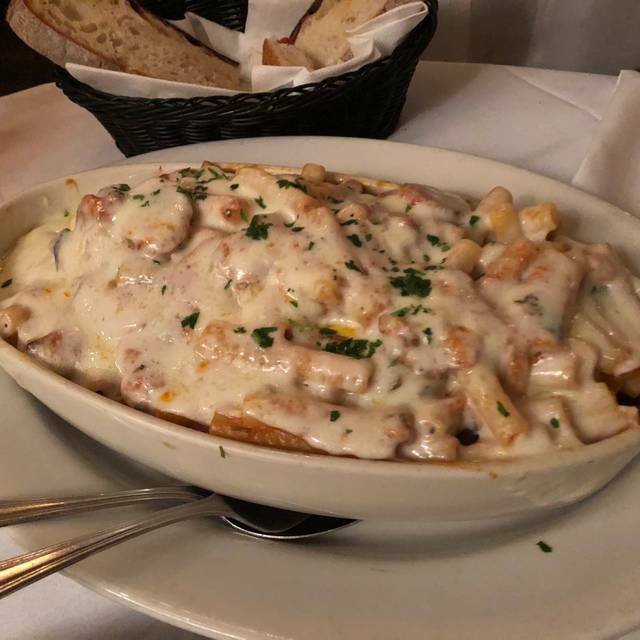 It is always a good time at Carmine's! Very noisy and waiter gave us wrong leftovers but otherwise a NYC experience. The food was great and a great value. The server was great and polite. We had a lot extra so we got the food wrapped. We ordered the salad (had least 3/4 left)and In the to go box there was one spoon of salad. I was very unhappy with this and if I went back would not let the staff wrap any of my food. Excellent service, including food and beverages. The staff willingly and graciously accommodated our last-minute addition of two extra diners. 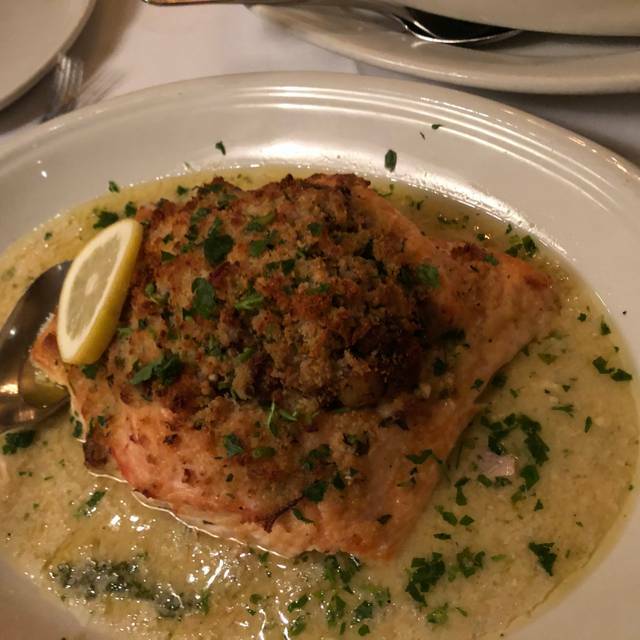 Our dining experience at Carmine’s was delightful; from the service to the delectable food. Will visit more frequently. It was not new and "glitzy". The place was "old school" with a lot of beautiful wood and appointments. It was a throwback to another less complicated time. The food and service was outstanding. Served family style we had a plate of spaghetti & meatballs and a salad plate. The 3 of us were pretty much able to finish most of the salad (2 servings each) but only made it through half of the spaghetti & meatballs. We REALLY enjoyed the meal, ambiance and the people that work there. I’m not sure I like the concept that all dishes served feed a family of 4. Every dish, appetizer, entree, salad come to the table one bowl or plate for the entire table. This restaurant assumes 2 things: that you’re at least a family of 4 or that you never eat alone or have date night as a couple. I didn’t like it, the food was okay...there’s nothing about it that wanted me to go back. Just be aware of the minimum plate sizes when you go, if you go. Very friendly staff. Service was great and we enjoyed the food. Carmines is usually a great place to eat. However, our chicken parm was only slightly warm and quite salty. The noise level is crazy there... way too loud but you know that when you eat there. Other dishes we ordered were great and our waiter was attentive. The food is always outstanding. The seating is usually extremely tight and cramped. I dislike that very much and it's always loud to much going on like prepping tables and moving chairs. If your going to have conversation and a low key atmosphere this is not the place. Food is a 10 though! My family and I have celebrated almost every birthday and accomplishment at Carmine’s. We live in New Jersey, but it takes nothing for us to come across the bridge for a great dining experience. Two dishes that we absolutely must order during a visit is the Caesar salad and the fried calamari! Wait Time is Excruciating, even when you have a Reservation. Food was good not a 5 star rating but good Overalll. ambiance is not the greatest, if you have a party of more then 4 expect to feel cramed in,tables are pretty small. Overall not my type of Restaurant. We had a fabulous experience and would recommend this restaurant to all of our friends and family. Simply delicious! Great food, service and atmosphere. Excellent portions for the family style meals! Only critique was shrimp scampi didn’t have a lot of shrimp to share of it were for a family but o got my own to share with my two year old son. And my wine was served in a water cup while everyone else’s was served in a wine glass. We always visit the Times Square location and my better half gets his own chicken parm while I try different things every time we go. Don’t fill up on bread while it’s easier said then done because it’s so tasty! There were 4 of us for lunch..Food and presentation was outstanding. We will go back with more guests. Love Carmine's! This was our first visit to the one on 91st Street. We normally go to the Times Square location. But since we were going to see Jerry Seinfeld at the Beacon Theatre, we decided this would be more convenient to the Beacon. Everyone enjoyed their meal. We were so stuffed that we skipped the taxi ride and decided we needed to walk off our meal and walked the 16 blocks to the Beacon instead. It was a great evening to walk and Jerry Seinfeld was hilarious! 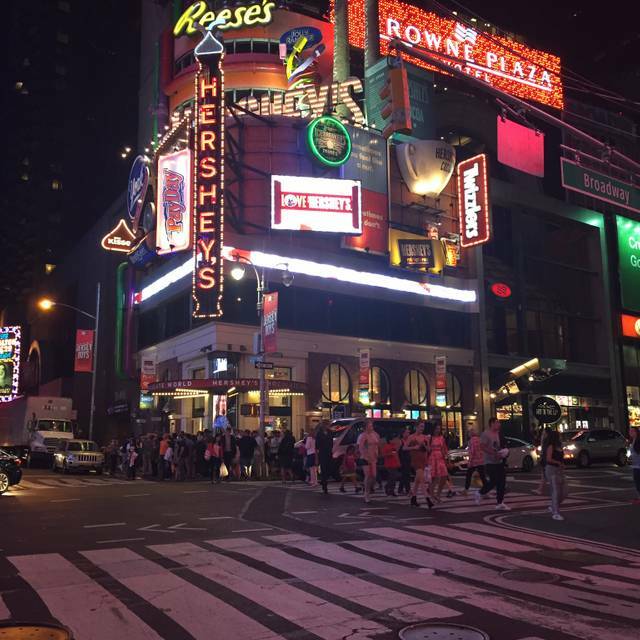 Too touristy feeling for a neighborhood spot and found the service felt like we were in Times Square. As a local native NYKer its not the vibe I want big corporate kinda feeling. The food was decent but the linguini and clams out of the other portions were not very big. Dinner was excellent - maybe should have half orders for the pasta. There were 2 of us and we are staying at a hotel. It’s a lot of great tasting leftovers that we cannot use. 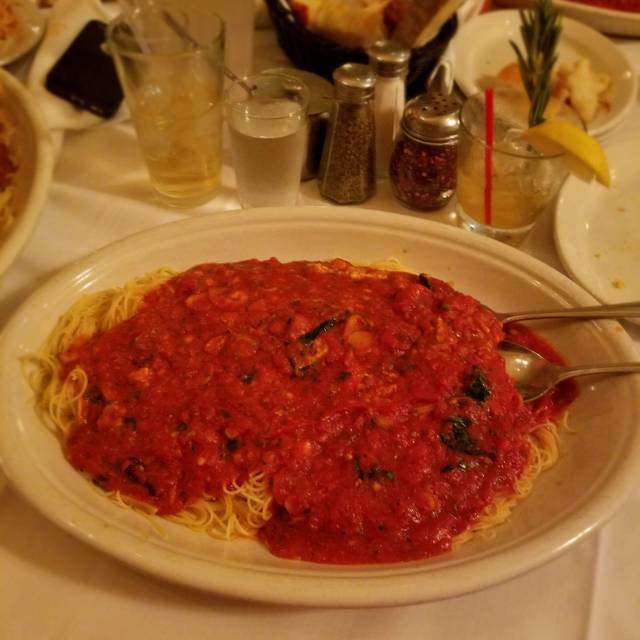 We love(d) the lively atmosphere and the wonderful family style food at Carmine's. 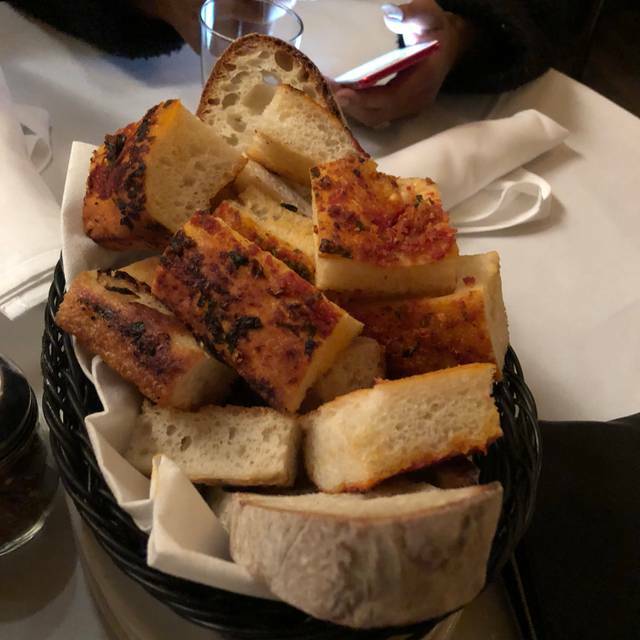 If you enjoy sitting among families, groups of friends, couples, who all enjoy being together as much as you intend to enjoy it, and if you like italian style food - then this is the place to go. The interesting discussion we had with our waiter, towards the end of the evening when most guests had left, was a great 'topping of the cake'. 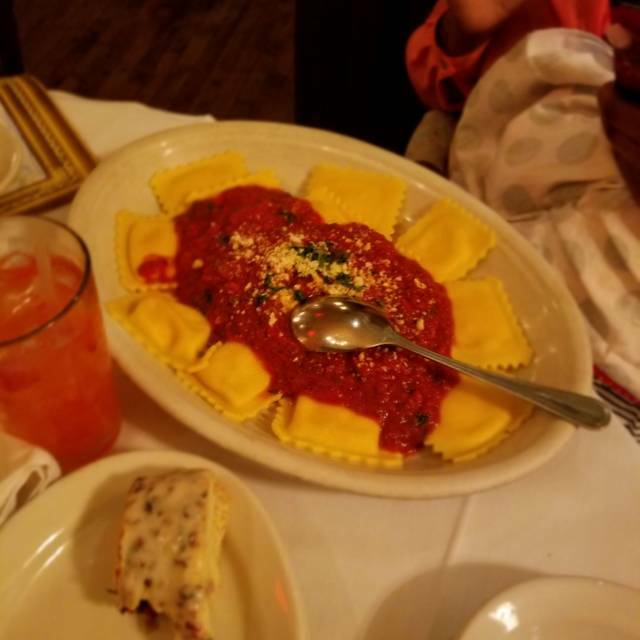 I had not been to Carmine's in quite a while so I thought we would give it a try with the family. It's changed quite a bit. It was very crowded (too many tables) and very loud. It felt like you were in a cafeteria instead of a restaurant. The food was ok: penne pasta very tasty, meatballs and spaghetti very bland as well as the fried calamari. Our server was great - the rating has nothing to do with her. We did find a hair in the blue cheese of one of our appetizers as well as hair in one of our cappuccinos. Though the appetizer and cappuccino was deducted from the bill - this is what caused the rating and we will not be returning. Absolutley amazing! Great service and awesome food, great selection for gluten free food as well! I love this place! Food & staff are ALWAYS excellent!!! Great waitress, family and I love this place always good but drinks are really overpriced $8 for 12oz coord light draft beer a little much but overall a great experience as usual! Nice place to go with group of friends or family. Very economical. Justin was an excellent waiter as well as our server. His recommentations were just what we ordered and were excellent. Can't wait to bring my grandchildern. Lo primero que diria que la comida estuvo muy rica! Pedimos los spaghetti con meatballs y la verdad que estaba riquisimo. No es el tipo de restaurante que me gusta, haibamos estado en diciembre para Navidad y volvimos. Pero las porciones tan gigantes son un desproposito. El ruido no dejaba hablar. Si debo decir qeu nos toco una mesa muy linda y la atencion fue muy buena. Para que te festejen el cumple tienes que comprar el postre, sino no hay velita! !